Truth is coming, and it cannot be stopped. Exciting words for most of the general population, but troubling for a select few in Washington, New York, London and Brussels. What he is describing, believe it or not, is the true definition of “Apocalypse” – The “Lifting of the Veil”, when all truths become known and public… Hidden information revealed, including, that pertaining to the purposeful use and abuse of the common people of earth. 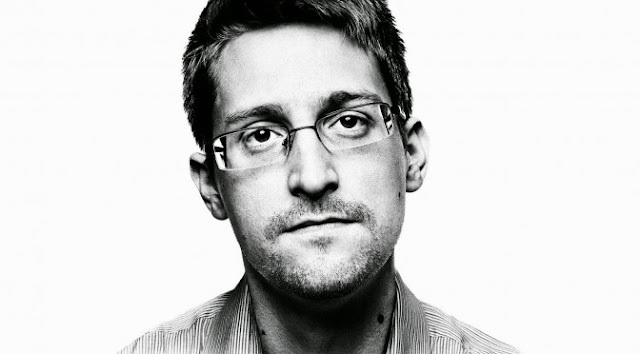 From Snowden’s testimony, he covertly said from the very beginning that there was and is an end-game in play. Who’s? That is not yet made known. In other words, there are white hats (good guys) within “the matrix” aimed at taking down the banking/political cabalists. Though it may be difficult for many to believe that such powerful forces will see the darkness and corruption of their actions and rituals exposed, the world is already seeing the beginning of such things come to light…and with much more to come. For those who are interested, here is some key ingredients in the current drama’s are unfolding. In middle November of 2015 at the G-20 Summit in Antalya, Turkey, Vladimir Putin surprised most of the world when he announced that Russia’s collected data showed that ISIL was (and probably still is at the time of this writing) being financed by 40 countries and that some of those countries were G-20 members. In other words, he stated at the G-20 Summit that members present at the gathering were helping to fund ISIL. This call-out is of extreme magnitude. What is most important to evaluate from this disclosure is that this situation is also still in play. Since that time, Russia has publicly presented evidence that Turkey is one of those countries, but has not listed the other 39. Are we really to believe Putin and Russia will just forget about this and not reveal the other 39 countries? It seems much more likely that a chess game is being played behind the geopolitical scenes of the world and that Putin may be simply waiting for the “right time” to reveal such things. In reality, Putin could have several aces up his sleeves and the global elite know it. More easily put, the global elite are in a very difficult spot. Let the DoJ indict their preferred choice for president (Hillary), or do not allow an indiction and watch the FBI and other intelligence agencies begin coming forth to the public en masse with their evidence on this case and most likely evidence of even deeper stories. Since January, much more has come to light as over 30,000 emails have been released. Just a few of the biggest stories within these emails, as Wikileaks has revealed, include Hillary’s extremist role in Libya, her push to privatize oil Mexico, claiming a Sunni-Shiite war would be good for the West and Israel. They also included her suggestion to overthrow a sovereign government in Syria and remove Assad. Though some people believe all of this will lead to nothing and to her getting off the hook, that scenario is becoming increasingly less likely as the Washington Post just a few days ago reported that at least 147 FBI agents are investigating this case. Even if the DoJ would choose not to indict, do you really believe these 147+ FBI agents (and probably many other intelligence agency members) would simply stay quiet? Or would they indeed revolt as Joe Digenova stated earlier? As we can see, there are huge stories all still in play and all affecting each other in different ways. What is clear is that we are indeed in the “quickening” of this entire scheme and that the truth is continuing to come out at an ever-increasing rate. In fact, we may already be at the “critical mass” point in relation to disclosures of truth occurring. Pillow talk these nights in Washington, New York, London, Brussels and elsewhere must be getting very interesting. These stories are all incredibly important and deserves questioning and investigation, though one must ask what Snowden, Wikileaks and Anonymous know on an even bigger story most media outlets have yet to touch: the global collateral accounts and their relation to global.